Let’s face it - the PD2 Chaos is not meant for everyone. Picture Innova’s Xcaliber with a little more speed and stability and you’ll know what this disc is like. It is abnormally fast for the stability it offers. 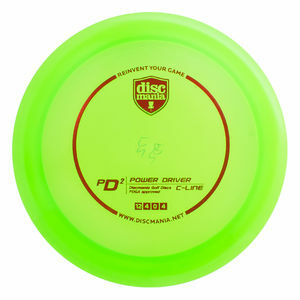 Targeted for the strong-armed touring pro, this disc is very reliable thrown backhand, forehand and overhead in pretty much all conditions. Available in extremely grippy P-line. Do you think have what it takes to throw this disc?